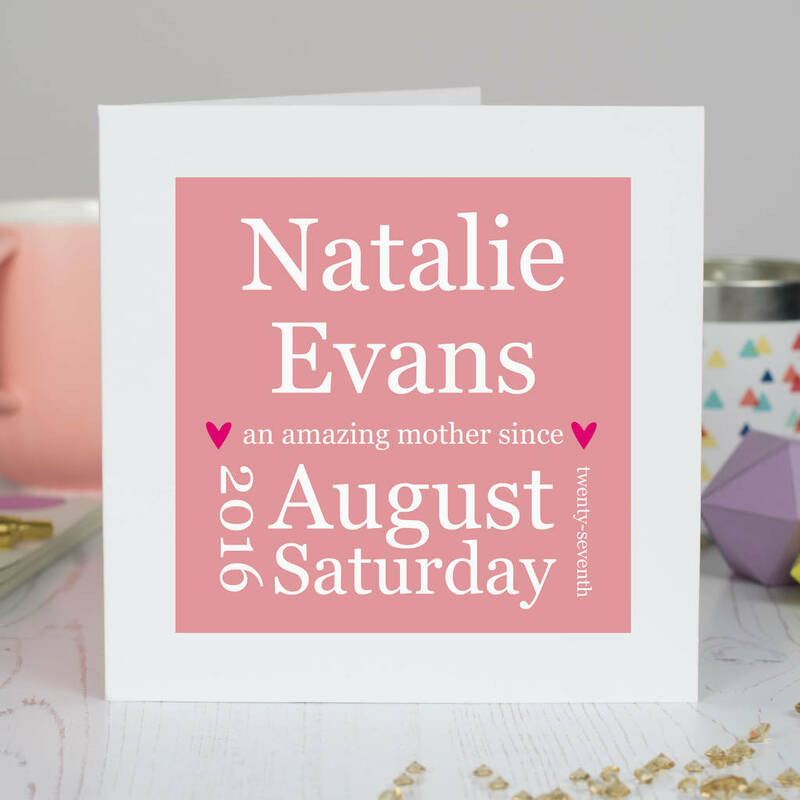 A unique personalised Mother's Day card in pink or lilac. Celebrate the day your Mum became your best friend and confidant. 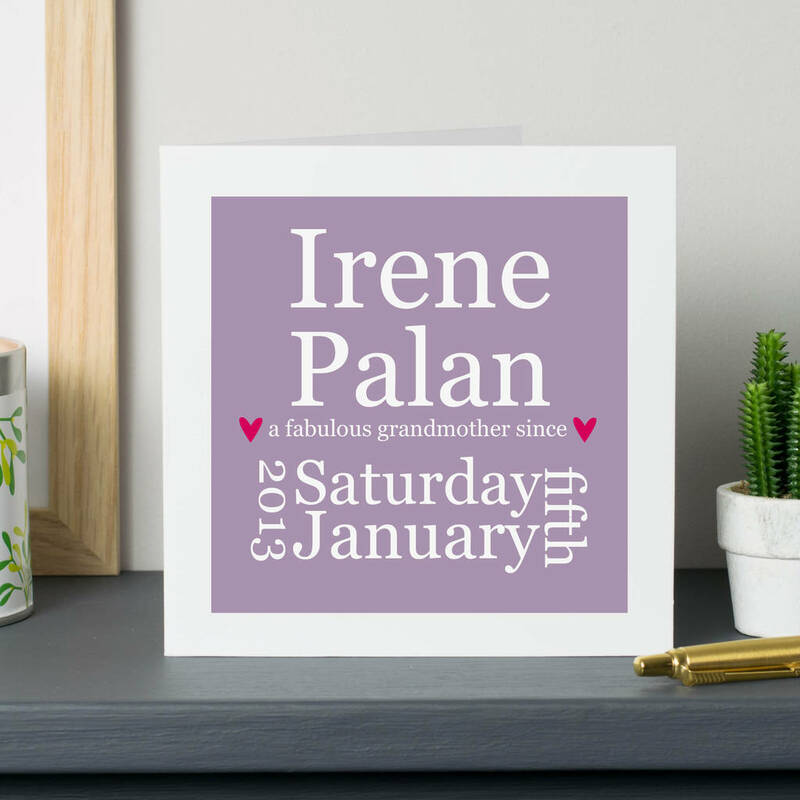 A contemporary sentimental card that celebrates the date your mum became a mother or grandmother. 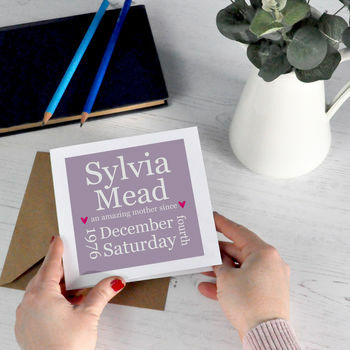 The front of each card features the following details: name(s), day, date, month, year. Please enter these details in the boxes provided. Can be framed after the event to be kept as a lovely memento. We use high calibre dye based photographic inks, premium quality white 350gsm print board.